DFRobot’s Expansion Shield for Intel® Joule™ is a powerful add-on component to the Intel® Joule™ compute module with its carrier Expansion Board for Intel® Joule™. 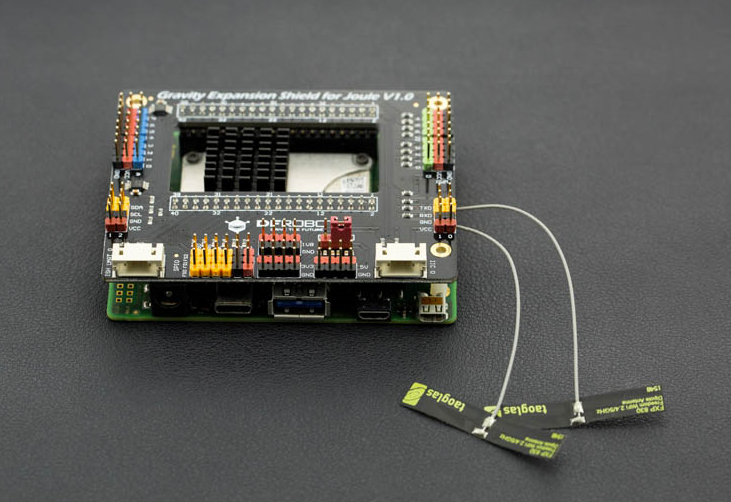 Other than what is originally supported by Intel® Joule™ and the expansion board, the expansion shield adds following features especially for robotics, smart gadget, and IoT device development uses. The expansion shield is sized just as big as the expansion board and can be easily mounted on to the expansion board through breakout pins. Its well-designed shape and layout allows you to get all access to the connectors, LED indicators and buttons on the Intel® Joule™ compute module and the expansion board.